Tickets for FREQ NYC fka Space Ibiza New Years Eve 2020 are currently not on sale. NYE 2019 at Space Ibiza New York will bring unrivaled energy and entertainment from the world's number one nightclub right here to Manhattan on the city's biggest night of the year! Fresh off the sands of the Mediterranean white island, Ibiza's most legendary nightlife and entertainment brand, Space Ibiza debuted its first North American outpost in September 2016. 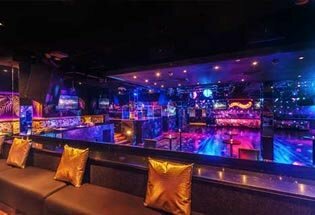 Space Ibiza NYC brings you New York’s brand new VIP nightclub, a massive nightlife mecca with cutting-edge club fittings, mind-blowing live entertainment and effects, and exquisite Ibiza party magic. This year’s most sought-after nightlife scene, Space Ibiza New York on New Year’s Eve will deliver the sights, sounds, and high-octane party atmosphere for NYC’s ultimate NYE mega-party. Boasting a Funktion One sound system - our DJ will be sure to have you moving and grooving playing all of today's hottest hits. Space Ibiza NYC's sets a new standard for cutting edge technology - in sound lighting and effects - rotating lights and moving disco balls will surely be a thrill for the senses! A 5-hour premium open bar is just the tip of the iceberg of this all-out extravaganza. Wander through Space Ibiza New York’s different rooms and take a breather from the electrifying party energy with early evening mini buffet and festive NYE party favors, both compliments of the house. 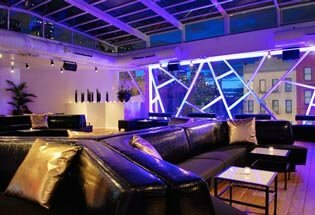 Kick it up a notch and party like a rockstar with a true VIP experience - bottle service complete with a reserved table and seating is available. New York City's freshest and hottest nightlife import opens its doors for the biggest night of the year. Act fast, as tickets to this legendary mega-club are limited. Kicking off at 8PM, this event is not for the faint hearted, so lace up those dancing shoes and get ready for a late one. See you on the dance floor!